This paper considers the parameter estimation problem in Mixed Membership Stochastic Block Model (MMSB), which is a quite general instance of random graph model allowing for overlapping community structure. We present the new algorithm successive projection overlapping clustering (SPOC) which combines the ideas of spectral clustering and geometric approach for separable non-negative matrix factorization. The proposed algorithm is provably consistent under MMSB with general conditions on the parameters of the model. SPOC is also shown to perform well experimentally in comparison to other algorithms. The research was supported by the Russian Science Foundation grant (project 14-50-00150). 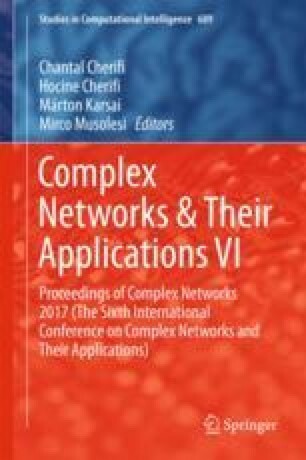 The authors would like to thank Nikita Zhivotovskiy and Alexey Naumov for very insightful discussions on matrix concentration. The help of Emilie Kaufmann, who provided the code of SAAC algorithm, is especially acknowledged.